Peat Cutting Day, also known as Peat Cutting Monday, is one of the public holidays in the Falkland Islands, a British overseas territory in the South Atlantic Ocean. It is celebrated on the first Monday on October. Peat, also known as turf, is an accumulation of partially decayed vegetation, primarily sphagnum moss, or organic matter. In certain parts of the world, it is harvested as an important source of energy. On the Falkland Islands, peat has been exploited as a fuel for centuries. For many islanders, it used to be the sole means of heating and cooking. The term “peat cutting” refers to a common method of harvesting peat. Layers of peat are sliced off with special tools, cut into cubes, dried and used as fuel. 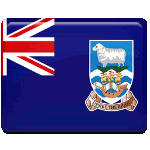 Although the use of peat for household heating and cooking is declining, islanders still honor the tradition of cutting peat by celebrating Peat Cutting Monday, which is an official holiday in the Falkland Islands. Despite the holiday's name, very little peat cutting actually happens on this day. The islanders go fishing and camping, making the most of their extra day off and enjoying spring (as the Falkland Islands are situated in the Southern Hemisphere, October is a spring month there).